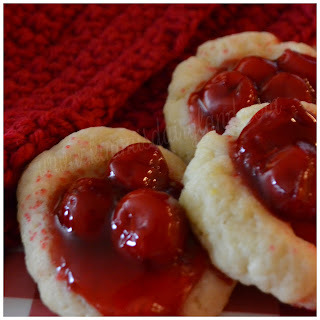 If you're looking for a fruit cookie that you can take to any event all year long and it will be a favorite, then you need to try these Cherry Delight Cookies! I recently took them to a blogging retreat with some fellow Indiana farm girls and they were a hit. These may be the best cookies I've ever made. When I started this blog five years ago, I never would have imagined the network it would create nationwide. The gals at the retreat farm all over Indiana and their farms range from produce to beef cattle, dairy cattle to pigs. And each farm is different. The strength of agriculture is its diversity. Farms also change (sometimes dramatically) over the years. Grandpa milked cows by hand as a kid, then used surge milkers (more about those here) in the 50s when he moved the farm and today, dairy farms have a pipeline that transports the milk from the milking parlor to the refrigerated bulk tank. For more about how our farm has changed in the last 100 years, click here. I can't wait to make these cookies again. They are seriously amazing. Bake for 9-12 minutes. I like them soft and don't like when the bottom of the cookies are burnt or extremely brown so keep an eye on them. This part is primarily due to preference. Makes 20-24 cookies using small cookies. Subscribe For 5 Star verified winning picks on MLB, NHL, NBA and NFL + Anti-Vegas Smart Money Signals!!! Your wedding cake is more than just a sweet treat for you and your guests. Cutting the wedding cake is one of the key moments of your big day, as it's the first task you will carry out together as husband and wife. The baked comfort food will also play one of the most important decorative roles at your wedding reception. Online bakeries are more Baked comfort food these days as compared to offline bakery stores. Probably, because these show up with a lot of options to pick from! With the introduction of online stores, the task of ordering a cake has become much effortless. While you are sitting in your room, you can simply go online, select the cake of your choice, and place your order. All this with the assurance of proper (and possibly free) delivery at the recipient's address!